Hey there. 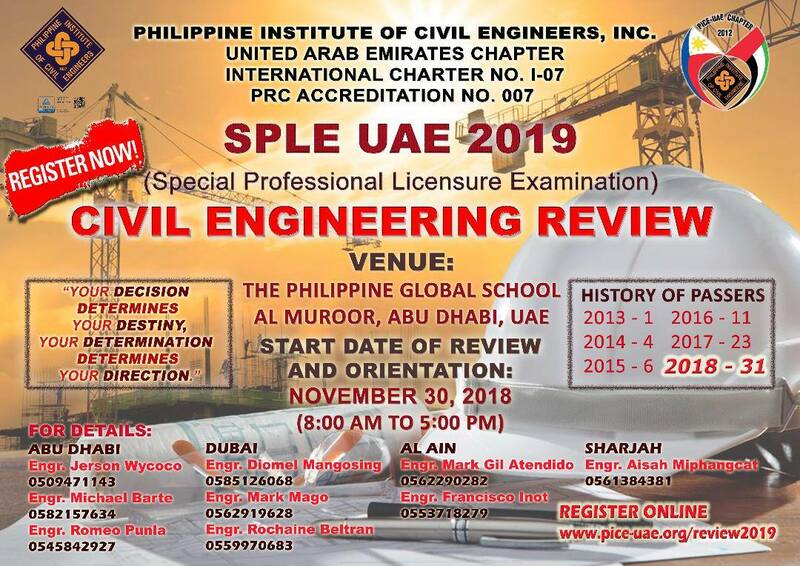 If you are a Filipino, with a degree in Civil Engineering, based in the UAE, and looking on how to be a professional member of the Philippine Institute of Civil Engineers, PICE-UAE will be conducting a review/classes/sessions to help you prepare for the Philippine Licensure Examination. You don’t need to go to the Philippines to take the test. 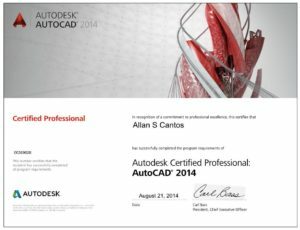 You can have the test in the UAE under the Special Professional Licensure Examination (SPLE). Just contact any of the representatives of PICE-UAE and they will be more than happy to point you in the right direction. 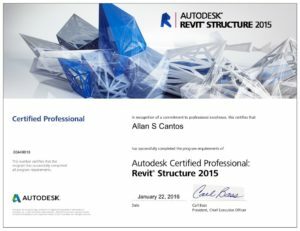 Once you become successful in passing the examination, you’ll become a legitimate member of the Institution. Good luck to all who will be sitting for the exam. PS. If you are currently a member of PICE and are interested in how to become EngTech MICE, give me a shout and I am happy in providing you with some guidance.